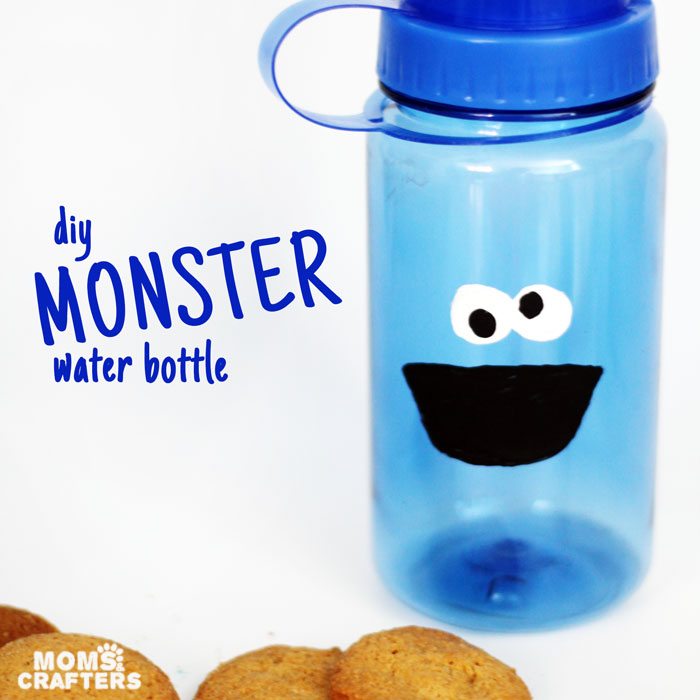 Home Crafts Make a Monster Water Bottle! 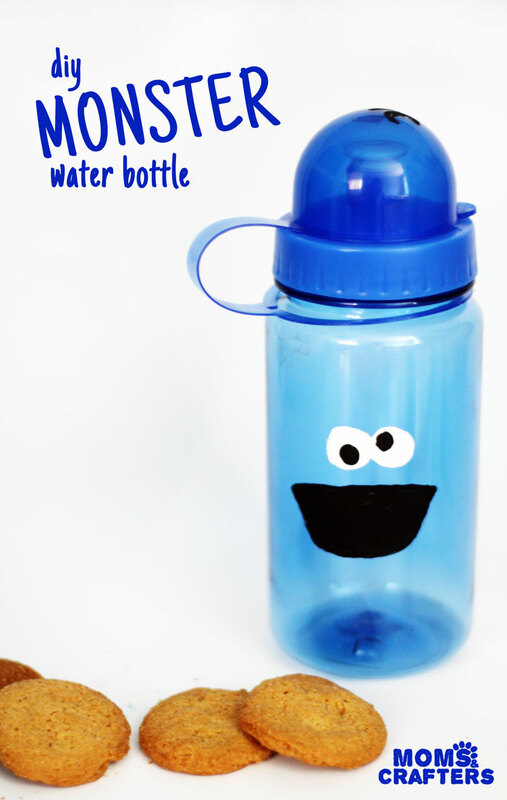 Make a Monster Water Bottle! 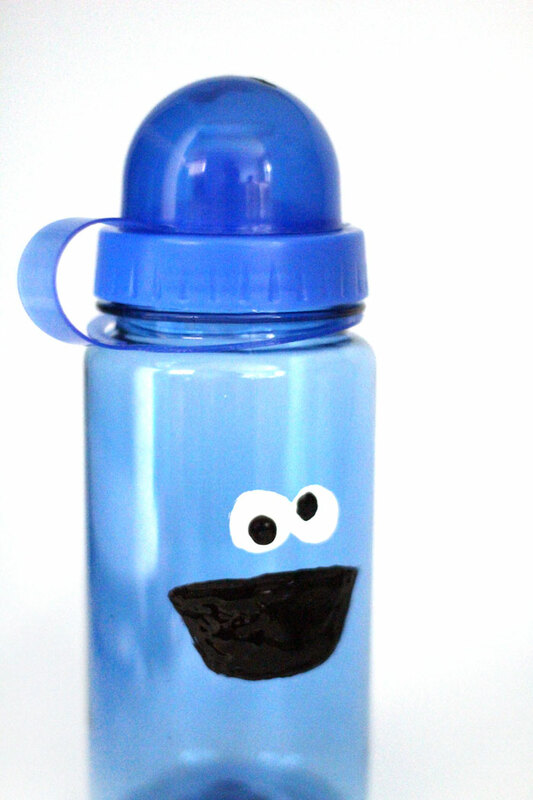 I made this adorable monster water bottle for M to encourage him to drink more this summer. It is extremely important to make sure that your little ones drink regularly to avoid heatstroke, especially when playing outside for extended hours. One of my favorite ways to do it is to make it fun! I did this by dressing up a plain, cheap water bottle with inspiration from one of his favorite characters. I did a Google search for the monster I wanted for inspiration, and had that on my phone next to me so that I can follow it. Watch the video tutorial, or scroll down for photos! 1. 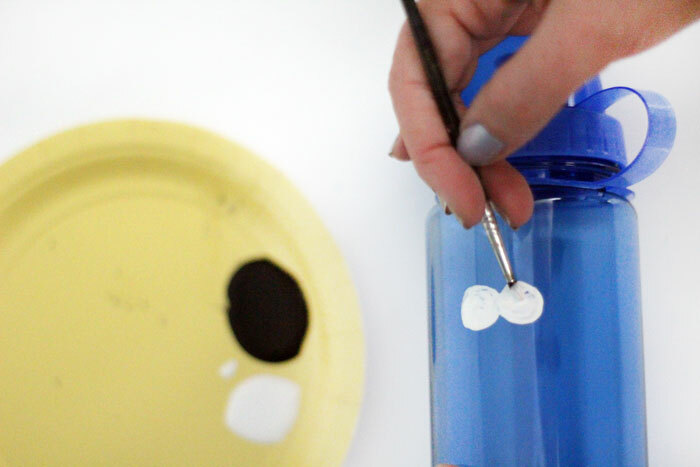 Start by painting two white circles, about the size of a marble, side by side. Allow it to dry completely (about an hour). 2. 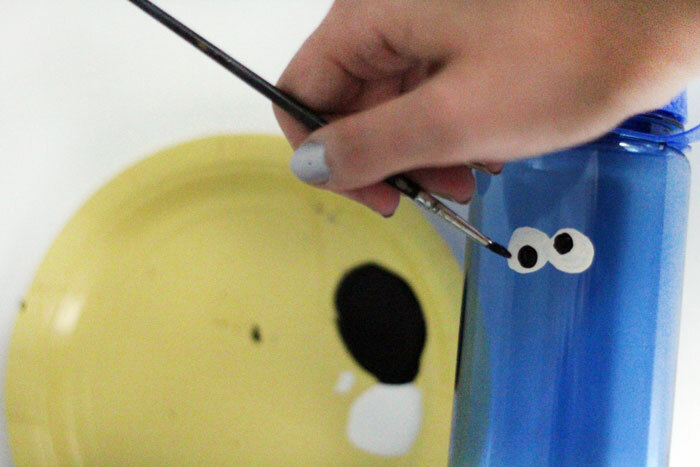 Paint two black circles facing different directions for the “manic” look. 3. Paint the wide open, slightly asymmetrical mouth using black paint. Another note: I would not recommend washing something that you hand painted in the dishwasher, unless you use dishwasher safe mod podge. Since my dishwasher is my husband, this is not an issue for me, but do keep this in mind! 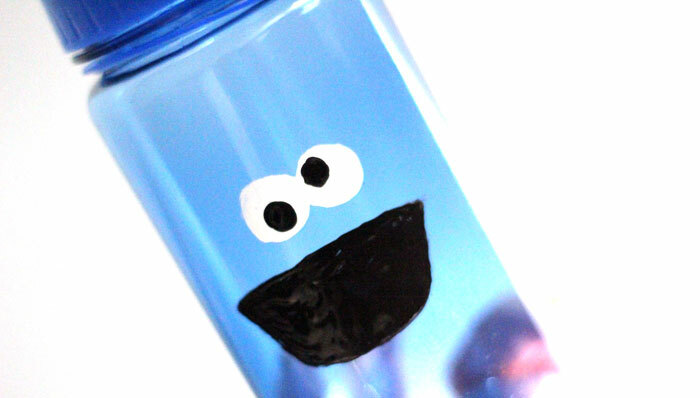 Which monster would your child like to see on a monster water bottle? 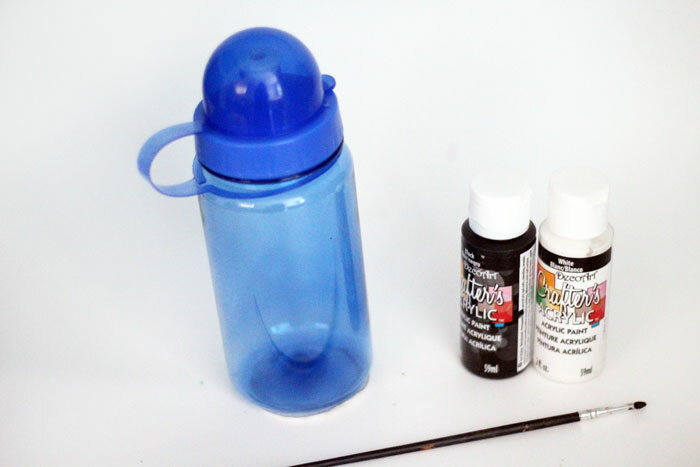 Crafts for moms, Quick and easy crafts. Bookmark.